They say some of the most important medical advances have, ironically, been made in times of war. That’s because there is no greater catalyst for innovation than necessity. The same can be said of dire economic times, when somehow, through ingenuity, inventiveness and visionary solutions, we find a new path forward – sometimes reinventing the market in process. Nobody enjoyed the prolonged sludge the local property market endured, but the upside has been the introduction of novel products, services, and home ownership solutions to help counter a harsh economic environment and meet the demands of a more frugal and cautious buyer landscape. Now, as positive sentiments begin to creep back into the economy and property appetites are being rekindled, these innovations are gaining greater prominence in the eyes of attentive and discerning property seekers, who are keen to snap up a smart buy and take advantage of remarkable opportunities. The management team and VIPs at the launch ceremony of the #DatumHomesForAll campaign, including Gambero (2nd from left), DatumCorp CEO Shytul Shahryn Mohamad Shaari (3rd from left) and Selangor Chief Minister Tuan Haji Amirudin Shari (4th from left). A recent standout example of such an opportunity is Datum Jelatek, a transit oriented development (or TOD) that is taking shape at a strategic and prime inner-city locale in Kuala Lumpur. Not only does the project by Datumcorp International Sdn Bhd (DatumCorp) offer a highly-prized opportunity to live with transit-linked convenience within the KLCC vicinity, it also reaches out with attractive pricing for a project of its type, innovative ease-of-ownership and investment packages, as well as taps into a growing sense of social consciousness among modern consumers. Last week, DatumCorp officially launched its #DatumHomesforAll campaign at its Datum Galeria sales gallery located at Jalan U Thant in KL. At the launch event, which was officiated Selangor Chief Minister Tuan Amirudin Shari, the company said the campaign was in line with its community building aims, which have two key objectives: to ease home ownership and investment in Datum Jelatek via four unique packages, and to bring greater awareness to the social needs of the Orang Asli community. Explaining the options available under the #DatumHomesforAll packages, chief executive officer of REI Group of Companies Daniele Gambero said these have been designed to address a variety of financial preferences. REI Group is the strategic marketing consultant and leading agency for the Datum Jelatek project. The chief minister tours the gallery with DatumCorp CEO Shytul Shahryn Mohamad Shaari. Gambero said the “Wealth Boost” package is a unique investment savings plan, whereby the developer pays RM45,000 into an investment fund on behalf of buyers that select this option. The returns are then paid back to the buyer as a form of rebate. 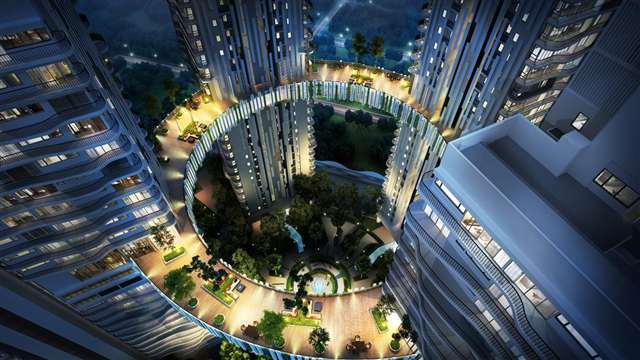 This package is available for buyers of any unit at Datum Jelatek for a limited period. Meanwhile, the “Blooming” package is targeted at those who have healthcare priorities. This package offers a 50,000 voucher for Gleneagles medical care as well as a lifetime membership card to this premium medical facility and its healthcare services. “In addition, those who opt for the Wealth Boost and Blooming options will also enjoy one full year of complimentary house keeping services at Datum Jelatek,” said Gambero. 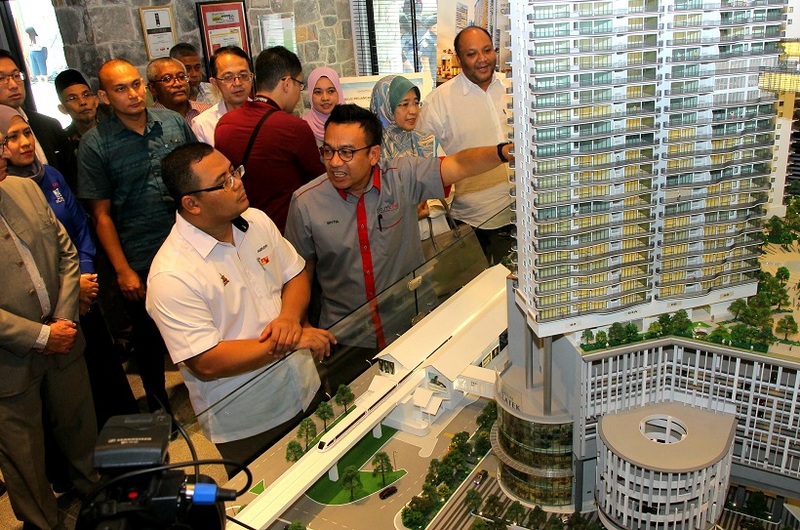 The third package, called the “Pro-C Pack” is a simple cash back scheme for those who prefer an immediate rebate of RM50,000 for their purchase of a unit at the project. “The final package, which we call the Voyager Pack, and this is targeted at investors who are looking for a steady stream of income. Units under this scheme are fully furnished studio apartments, which will be leased out via a tie-up with AirBnB. This package comes with a 3 + 3 tenancy agreement for the buyer,” Gambero explained. He added that the “Voyager Pack” features a basic rental guarantee of RM2,000 plus revenue sharing with the property owner. On the corporate social responsibility element of the campaign, Gambero said DatumCorp is being perceptive by embracing the changing mindset of modern consumers, who are now more mindful about the impact they make on the socio-economic well-being of others. This includes their purchasing choices as well as the shared values of the products and brands they engage with. “In addition to its own monetary contributions to the Orang Asli community, DatumCorp is inviting you to learn more about the contributions of this indigenous culture to society and join in the effort to help house them by participating in a first-of-its-kind mobile game called Datum Tap,” he said. Datum Jelatek is a RM1.2 billion transit oriented integrated development. Datum Tap is a smartphone game that is downloadable on iOS and Android platforms. It allows players to collect planks by tapping on their smart phones to build virtual homes for Orang Asli, while having a chance to win prizes along the way. At the end of the campaign in January 2019, DatumCorp will convert the virtual homes into actual homes for the some of the most deserving Orang Asli families with the help of EPIC Society – a non-profit organisation currently engaged in building homes for Orang Asli communities. Weekly prizes for players include Huawei P20 Pro units, among others, while the grand prize winner will enjoy a six-day and five-night trip to Osaka. Those interested to participate in Datum Tap must first “like” the official Datum Jelatek Facebook Page, then log in to the mobile app game with an authentic Facebook account. The Sky Ring, an elevated recreational podium, is a key highlight. Datum Jelatek is a RM1.2 billion transit oriented integrated development that is taking shape on 5.65 acres close to the central heart of the capital city. Not only does the project’s location offer proximity to a host of facilities and services, but its doorstep-link to the Jelatek LRT station promises unfettered access to shopping havens, schools, hospitals as well as other major urban hotspots within the Klang Valley. The project comprises four residential towers that will house 708 units with studio, 1-bedroom, 2-bedroom and 3-bedroom layouts in built-up sizes that range between 500sq ft and 1,660sq ft. These are priced from RM1,100psf onwards. 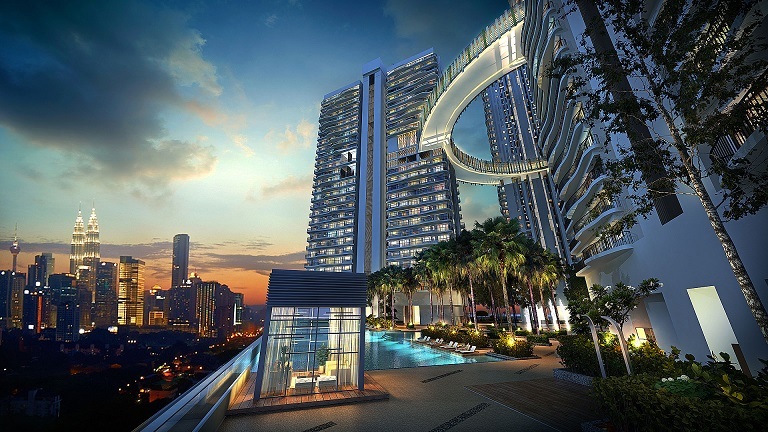 Among the key highlights of the project is a Sky Ring elevated recreational deck that connects all four towers, while a multi-storey lifestyle mall at its base offers dwellers instant conveniences. Datum Jelatek is due to be completed by the third quarter of 2019. 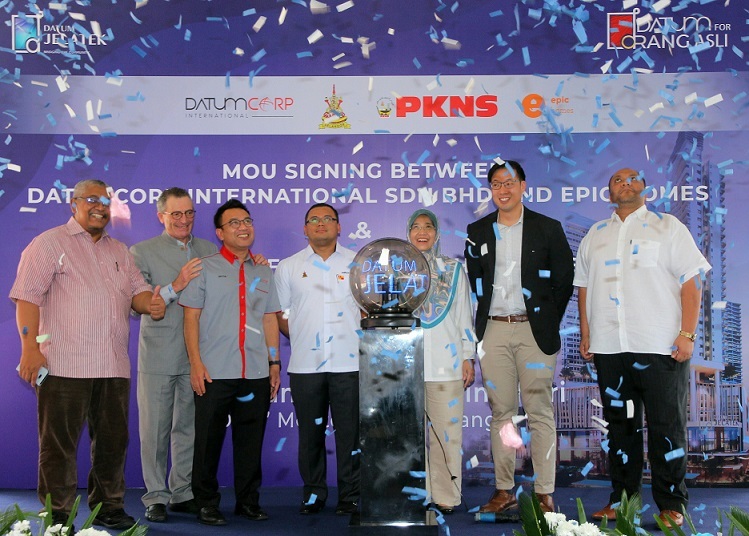 DatumCorp is a wholly owned subsidiary of PKNS, tasked to undertake the construction of high-value commercial, retail, residential and mixed-development projects in prime locations to benefit the socio-economic wellbeing of the larger statewide community of Selangor. Datum Jelatek is the first of the Datum Series of developments to be undertaken by DatumCorp.